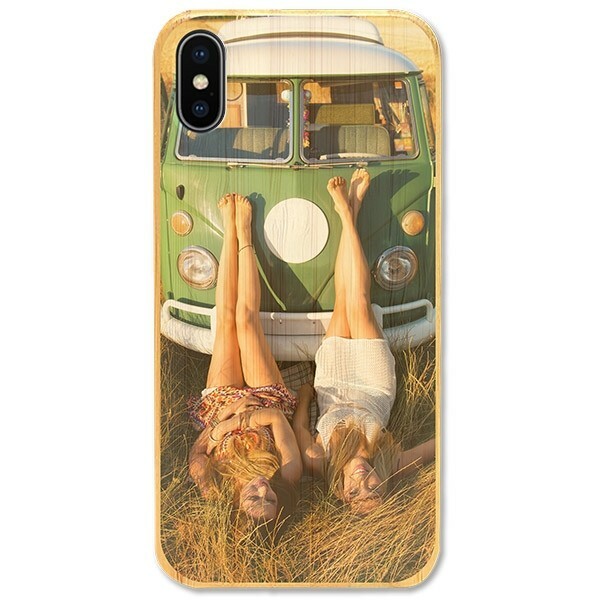 Your favorite photos and designs printed on a natural looking stylish wooden case. Create a custom wooden case for excellent phone protection with a natural feel. 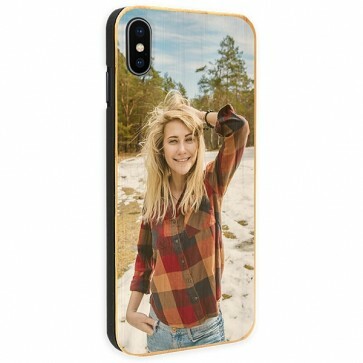 Design your own custom iPhone Xs case and we'll print it and ship it to you. Your favourite photo on your phone case. Use your favorite vacation photos, pictures of your family or friends, or images of your cute pets to make a truly unique phone case. It’s your case so you decide, we’ll print it and ship it right to you. Custom printing doesn’t mean that your phone won’t get the protection it needs. Our wooden cases have a tough plastic inner case with a bamboo back cover, ensuring that your phone is protected against dents and scratches. The close fit and slim feel keep your phone still feeling great in your hands. Protect your phone and get a one of a kind case. Don’t settle for less. Order your custom iPhone Xs case now. How to design your own phone case. Designing your custom iPhone Xs case is super simple. In three steps and in about five minutes, you can create a phone case that will make other people jealous. 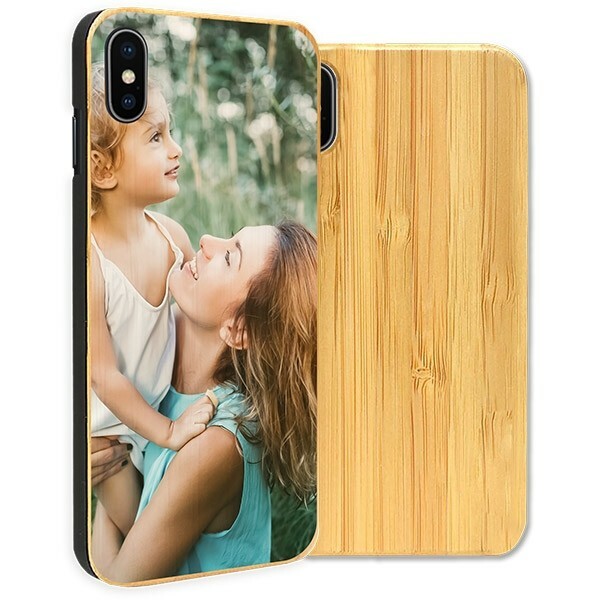 Choose the photo you wish to see on your custom iPhone Xs case and upload it to the Customizer using your phone, laptop, or via your social media accounts. Make any adjustments to the images like resizing or rotating the images, then add any filters, text or logos to finish the design. Preview your images to check that everything is that way you want it, then check out. We’ve made the process of designing your phone case simple so you can focus on making it exactly how you want it. Production of your custom iPhone Xs case. Now that you’ve done the hard part, it's our turn. Almost immediately after you finalized your order, we’ll get to work on it. Quality is our main concern which is why we use high-quality printers and scratch-resistant ink so that you get the best. After a quality check to ensure that your custom phone case has no imperfections, we box it up and ship it to you. Curious where your order is? We’ll send you a tracking code so you can know for sure. Our support team is available to offer assistance or answer any questions, reach out them at support@gocustomized.com. Create your custom case now!